Join the Challenge to Fill Your Freezer and get EXCLUSIVE access and recipes! Busy families have busy moms and it can be so difficult to get dinner on the table! This challenge offers everything you need to fill your freezer with ready to cook meals to take the stress out of cooking dinner! 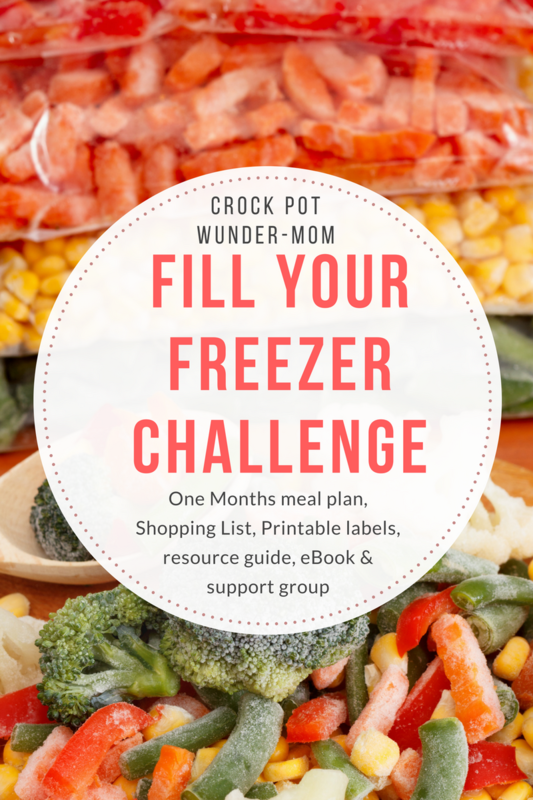 When you join our Fill Your Freezer Challenge you will get access to ready to go recipes, printable shopping lists, exclusive private group and more! Everything will be delivered directly to your email inbox after sign up! 7.99 does not sound "free" to me. What's up with that? I'm sorry Donna, at one time I offered a small version of the challenge for free but since evolved this into recipe cards, ebook, and group support. I apologize but you must have found an old version of it somewhere that still had the free verbiage with it.